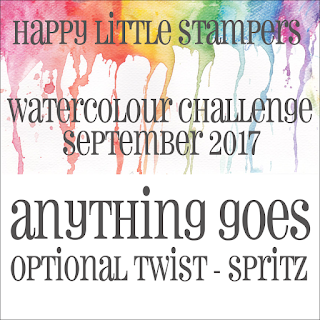 There's a new watercolor challenge up at Happy Little Stampers. This month's optional twist is SPRITZ. We can't wait to see your take on the challenge. 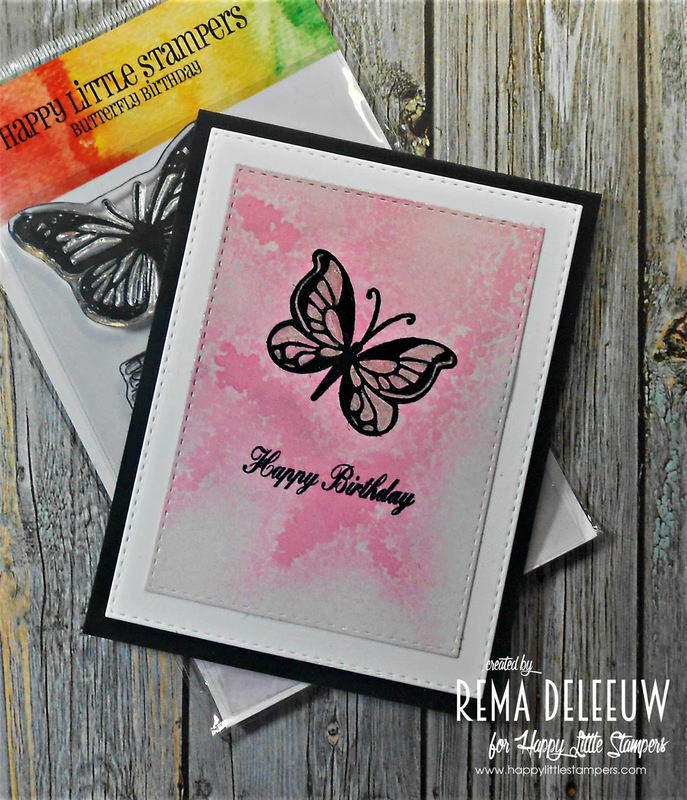 For my card this month I'm using one of the butterfly images from Butterfly Birthday. I spritzed the background with Fuschia Color Burst mixed with water in a small spritz bottle. After I stamped the image and sentiment I added silver gel pen to the wings of the butterfly. 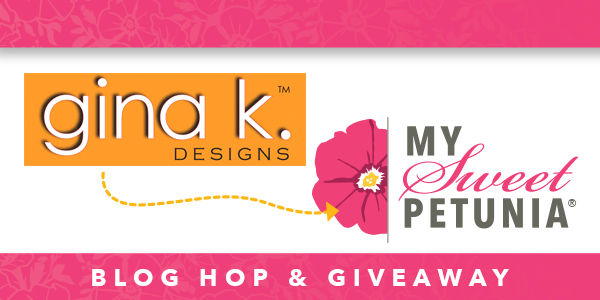 Good morning and welcome to the Gina K. Designs and My Sweet Petunia Blog Hop! I am so excited to be a part of this amazing event and awesome group of designers and hope you will be inspired by all the wonderful creations as you hop along with us. Today I'm creating a one layer card featuring the Boho Flowers mini kit by GKD and the MISTI by My Sweet Petunia. I inked up my images with Turquoise Sea by GKD and stamped them onto a GKD Pure Luxury card stock base that has already been scored in half. I stamped twice to get a good impression. 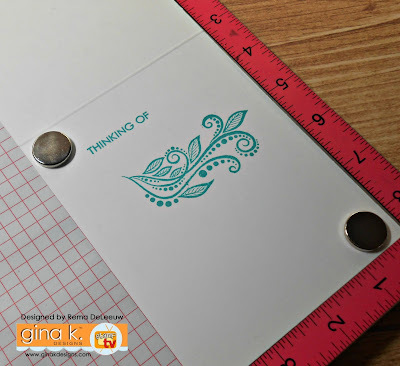 I already had a stamped and die cut "you" that I adhered to my card front. Gray enamel dots were added to finish my card off. There will be two winners! Leave a comment on all the blogs for your chance to win an Original or Mini MISTI or the Stitched Leaves mini kit by Gina K. Designs. The deadline to comment is Sept. 5 at noon Central to be eligible. Winners will be posted on the My Sweet Petunia blog winners page and on the Gina K. blog no later than Friday, September 8th. Here is the list of designers participating today. Your next stop on the hop is the very talented Theresa Momber! Thanks so much for visiting and have a wonderful day! 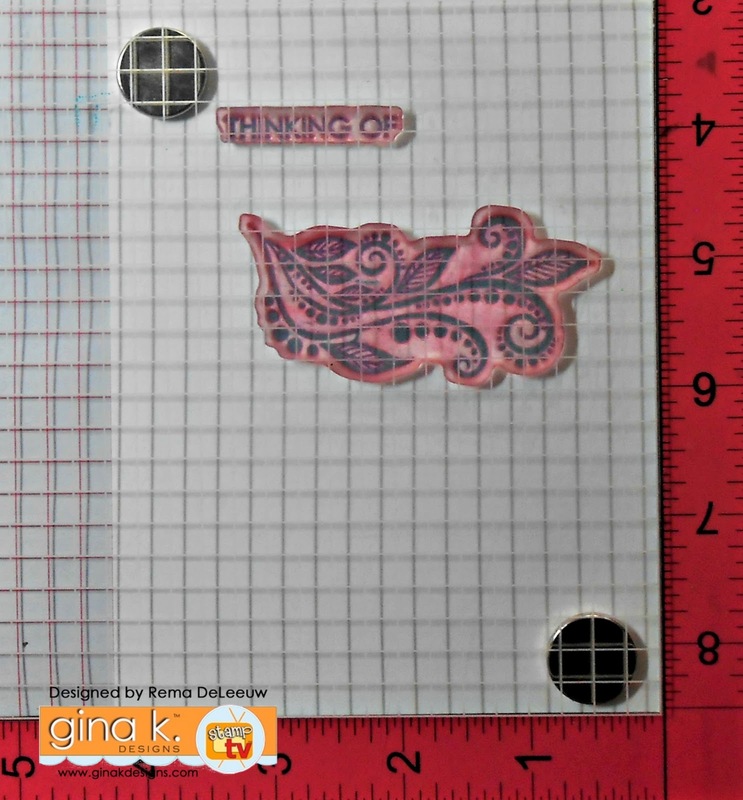 It's ANYTHING GOES this week at Addicted to Stamps and More. I inked up the beautiful wreath image from Watercolor Wreath by The Ton and added water coloring to the background, flowers and leaves. Lastly, I spritzed the top scalloped layer with shimmer mist and added sequins. Stop by and play along and see what the rest of the team has created! 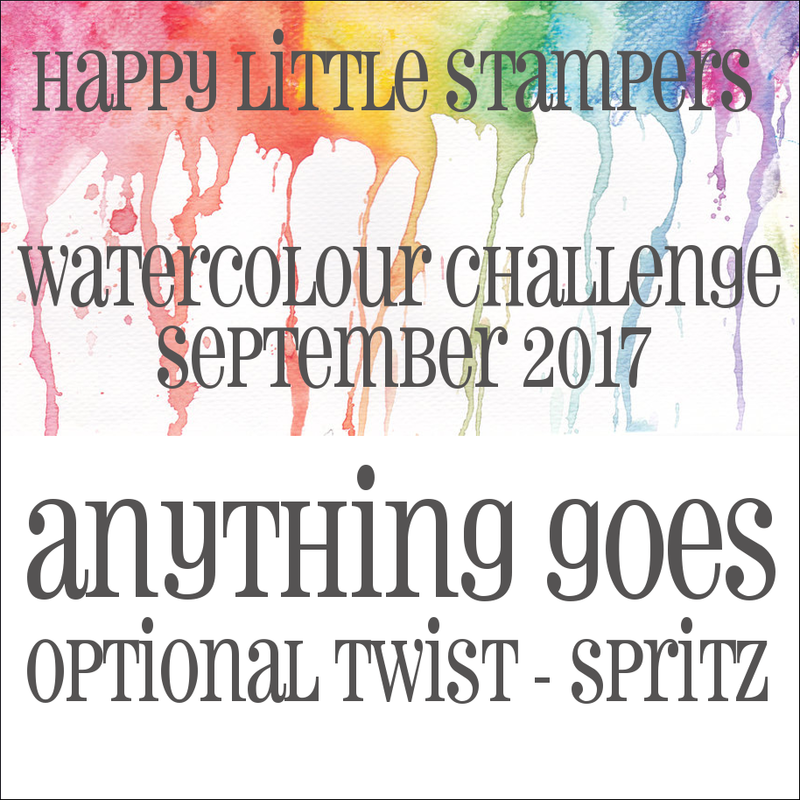 Erum is hosting her very first Inspiration Challenge over at Altenew this month. 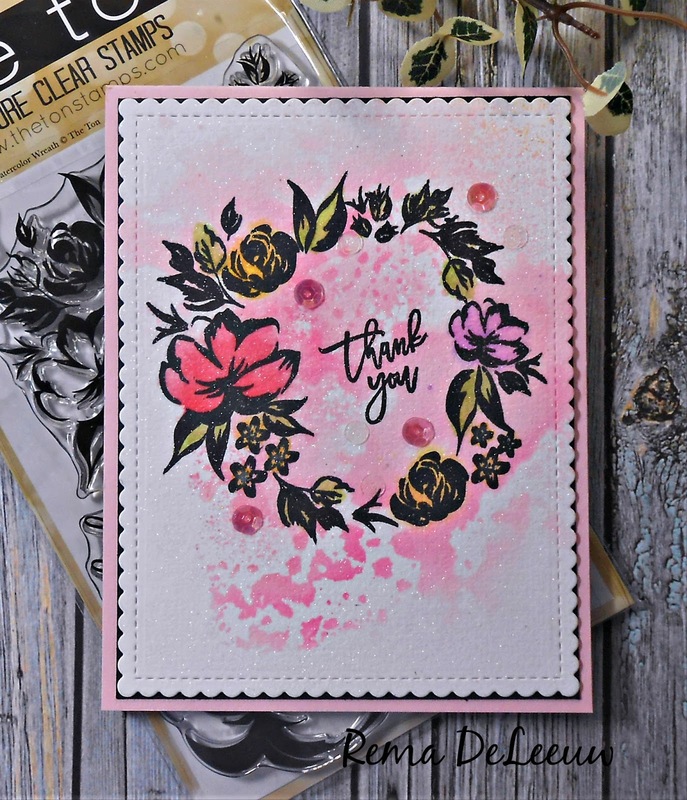 Below is one of her cards and the color palette she has chosen to get our creative juices flowing. 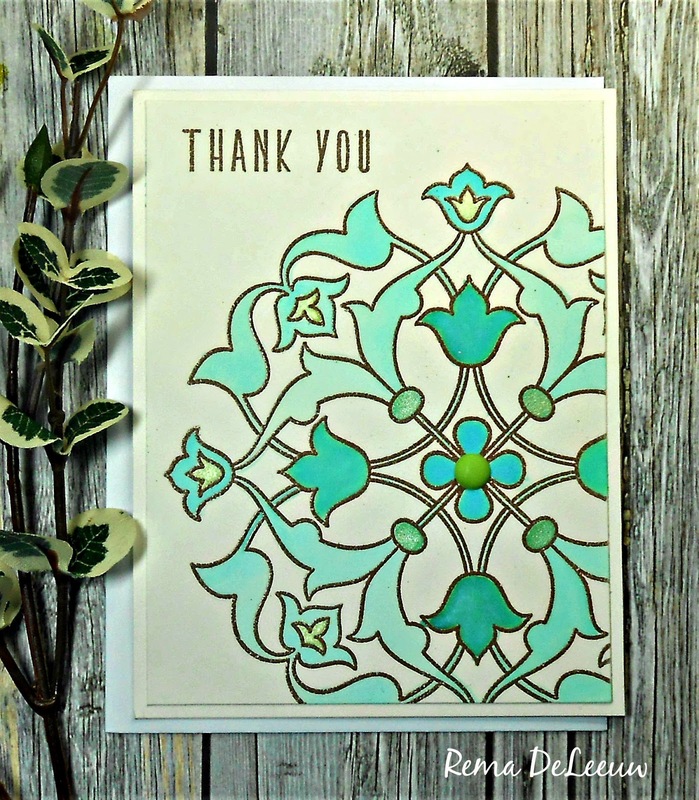 I received my Altenew order last week and have chosen the large image and sentiment from Arabesque Medallion to create a card with. The medallion and sentiment were heat embossed with Ranger Mushroom Adirondack Embossing Powder. I water colored the image with Gansai Tambi water color paint and added a medium size enamel dot to the center of the image. Thanks so much for stopping by and have a super day!